Sand dunes and mountains are undoubtedly my greatest photographic passions. Both these environments offer landscapes that are geometric and beautiful in their simplicity. 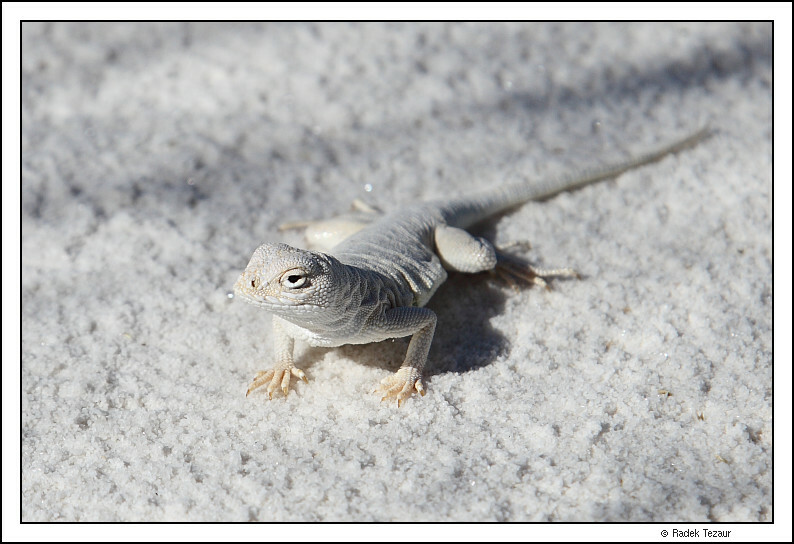 The White Sands reign supreme among the sand dunes I know. Like mountain snow, the purity of the landscape stands out in white. The yuccas dotting it only add to an alien feeling of the place. 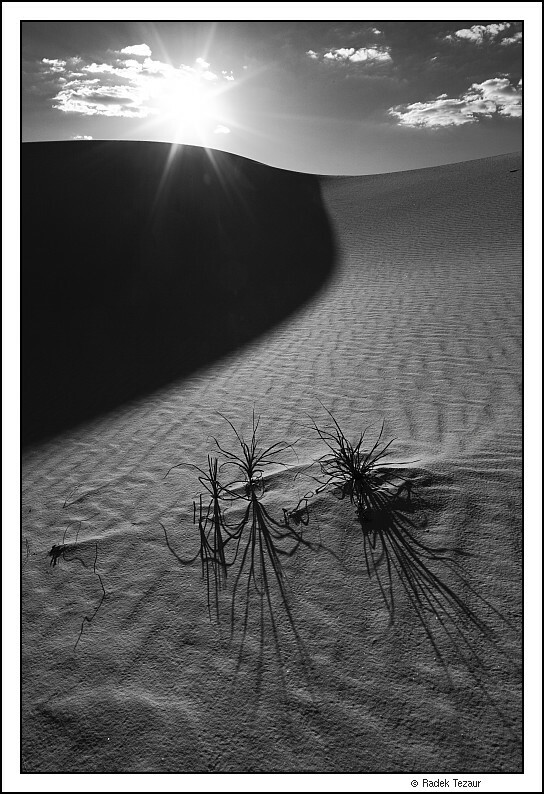 There is also a fleeting element to this landscape - you can always be sure the dunes will look different the next time. The wind driving the sand will make certain of that. It had been almost eight months since my last trip to any sand dunes - a New Year's trip to Eureka Sand Dunes in Death Valley - and I was looking for a bit of a sand fix. Given the timing of other events, a quick trip to a place that I call one of my favorite two places on Earth made sense. My last visit to White Sands two years before (with photos and links to my previous trips) came late in September, a month later in the year than this time. I hoped the August monsoon would produce some excitement on the weather front and make for interesting photography. Last time, Irina and I had fun backcountry camping for one night, and I was going to do the same this time. 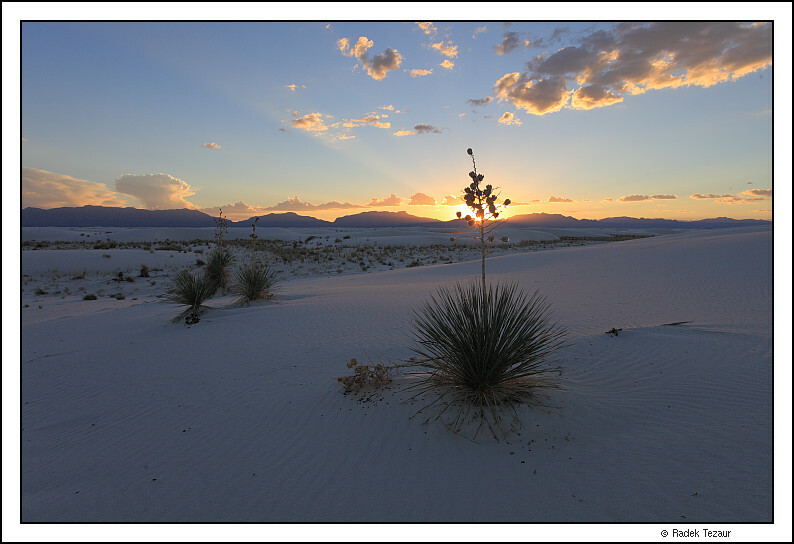 The dunes are a special place at night, and it is also the only way to catch a sunrise in summer since the gate into the park opens at 7am. As it turned out, I caught a break in the monsoon, but I met my quota of sand photos anyway. 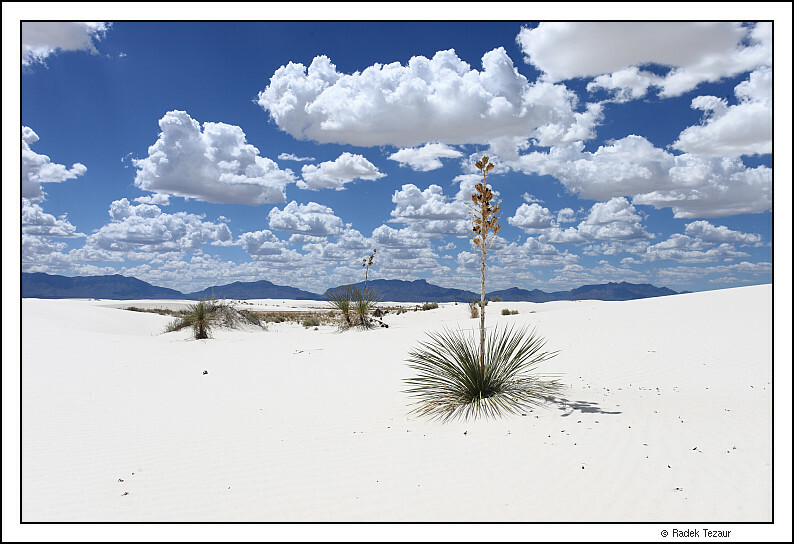 It is about three and a half hours from Albuquerque to White Sands. 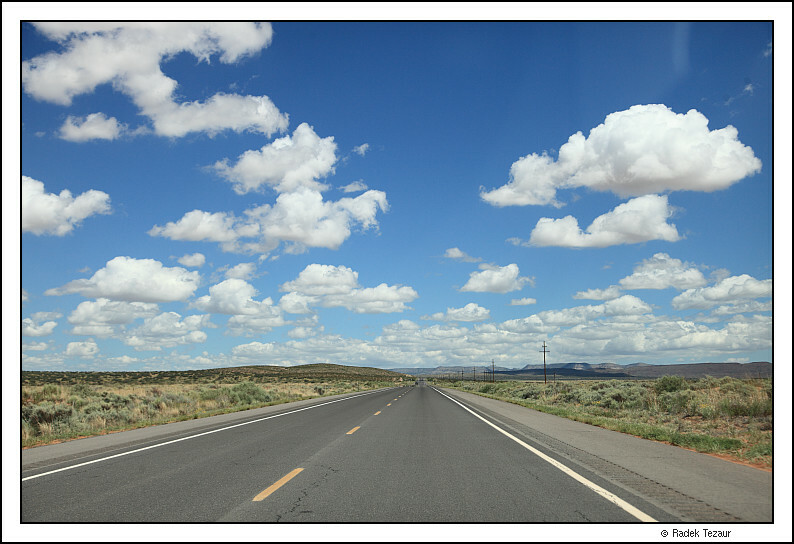 The scenery along I-25 and on state highways through Carizoso, Tularosa, and Alamogordo made for a pleasant drive. The monsoon had brought moisture to the deserts and plains along the way and they were a lot greener than California this time of the year. White puffy clouds decorated the sky. I picked up the back country permit in the visitor center, and was given the obligatory warnings about unexploded ordinance. 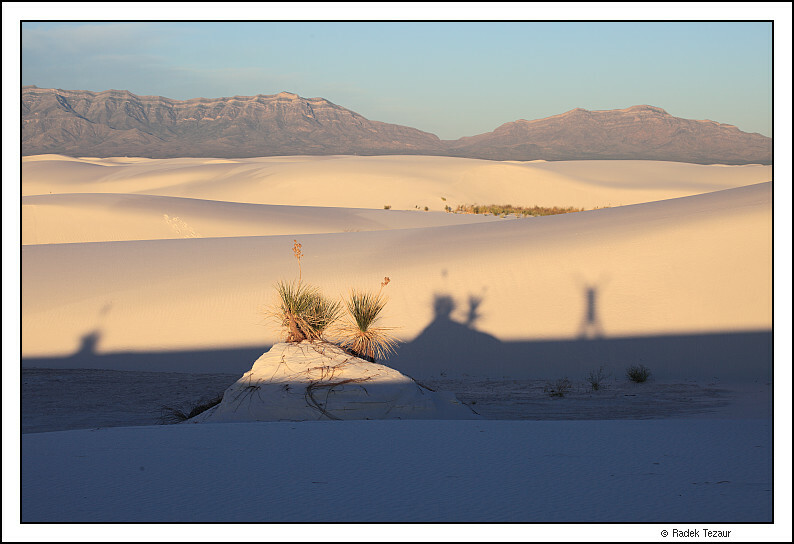 The monument is a part of White Sands Missile Range after all. After a short drive to the trailhead, it was less than a mile long walk to the campsite. 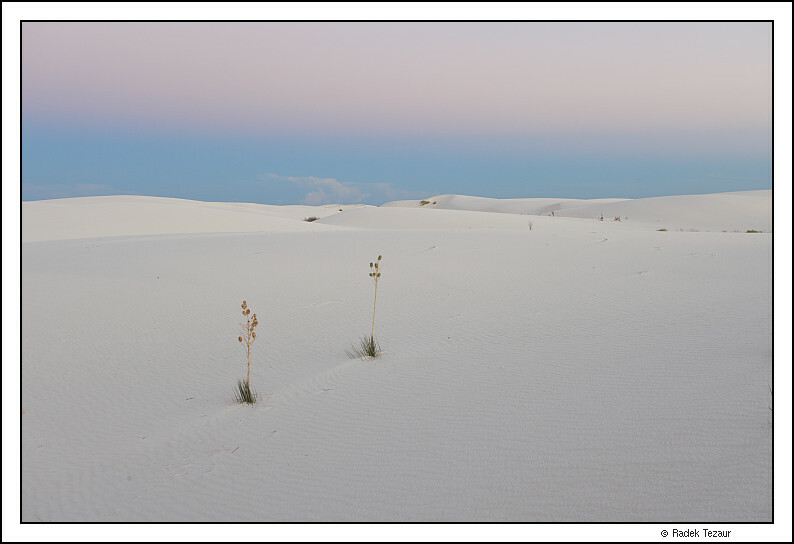 My walk around the dunes stretched until well after the sunset. It was quickly getting dark when I finally got back to the campsite. I had to use my headlamp to pitch the tent. I walked up to the top of the nearest dune. The star-covered moonless sky stood above and I enjoyed the wilderness around me well into the night. I got up at 5:40am, almost an hour before the sunrise. After a quick breakfast, I walked to the location that I had scouted out in the evening. The dawn and sunrise provided a bit of color to the landscape, and when the low light show was over, I hiked to the highest dune that I could see not far away. I was back at the tent before 10am. I packed up the campsite, and walked back to the trailhead in the burning sun. I met a friendly backpacker from Houston in the parking lot. He was just getting ready to head out, as I was looking for some shade to hide from the sun for a while. A lunch in Alamogordo gave me just that. I continued to the New Mexico Museum of Space History and enjoyed its outdoor displays and views of the Tularosa Basin from its location above Alamogordo.